The cultural offer of the city of Marbella is more extensive than we might think at first. Its old town retains many traces of the historical process experienced by the city. We found remains of the first centuries of Roman rule in the capitals used in the construction of the towers of the medieval fortress of Trinity Street. But the historical district is simply the sign of Muslim presence, since it found numerous architectural remains, archaeological remains, .... At this time, the population was cerrrada by a wall creating a more or less oval polygon. Starting in the kasbah, and following clockwise, we can continue this perimeter along the streets Art, Wall, Alameda, Fortaleza, Huerta Chica, Isaac Peral and Solano. Some remains of the wall jut behind the house on the street Isaac Peral. The layout of the city was embodied in Muslim neighborhoods and roads linking with each other and with the various gates of the city. As the center of it, the mosque site now occupied by the Church of the Incarnation was. Important role played by the time the Puerta del Mar, and connecting the mosque and the citadel; that is, it was the place for which the city had access to people and products that landed on the coast, giving the area an eminently commercial. This sector coincides today with the streets of San Juan de Dios, Gloria, Misericordia and Carmen, where they are still concentrated commercial activity. The remains of the Moorish castle, designed by the tenth century, built by Aberramán III, show how the Roman remains of some nearby building materials used in its construction. After the reconquest were made appropriate reforms to suit the artillery guns. As to the Plaza de las Naranjos, its urban origins date back to the Middle Ages, when it was a market square. After the conquest it became square, due to the construction of the town hall. Thus it became the center of political and economic power of the city, as evidenced by the fact that in the same prison and the granary was also built. Also, on the site occupied by the old mosque in the XVI century Church of the Incarnation it was built. Should visit the Convent of the Trinitarios Calzados, which takes its delimited by the Church Square and the streets Trinidad, Wind and Salinas place. This building, dating from the XVI century, has lost dimension than the original, retaining only one of the cloisters and the Chapel of Santa Catalina. Another landmark building is the Royal Hospital of Mercy, although at present it is very reformed from the original. Its construction was carried out in the first half of the sixteenth century. And, the Bazan Hospital, the Museum of Spanish Engraving, built between the sixteenth and seventeenth centuries. Must also visit the Chapel of San Juan de Dios; its chapel preserves inside a beautiful Mudejar armor. Its exterior emphasize the elaborated stone Gothic style. La Ermita de Santiago, located in the Plaza de los Naranjos, is probably the oldest religious building in the city, as it dates back to the fifteenth century. The Ermita del Santo Cristo de la Vera Cruz, highlights the choir, located at the foot, and used to support one column Toscaza plunged into the baptismal font. Apart from the monumentística offer of the city, we must not forget the parks and gardens of the urban environment. In the city itself, the Park of the Constitution stands by thick vegetation, grass, playground and the astronomical observatory. In the same auditorium interlocks, which are offered many and varied theatrical and musical performances during the summer. The Garden Botánido The Angel stands for the importance of tree species that inhabit it. Another possibility is to visit the Park Vigil de Quiñones, populated by the native vegetation of the region. It has barbecues, tables, .... Ideal to enjoy their sports facilities and playgrounds. Moreover, we cannot forget the journey to be made by the archaeological remains of the area: the vaults or Roman baths, third century, discovered in 1926; Paleocristina Basilica Vega del Mar, considered one of the most important examples of Spain of the paleocrisitana era (IV century); and the Villa Romana de Rio Verde, whose remains date from the centuries A.D. I and II, with its beautiful mosaic pavement of a house. 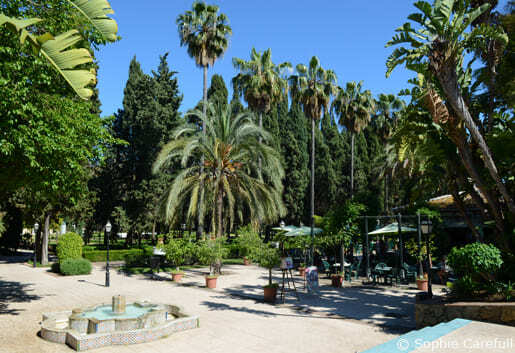 The museum offer of Marbella has the important Municipal Collection of Archaeology, Cortijo Miraflores Museum, the Museum of Engraving or curious Bonsai Museum. The city has many cinemas, theaters, galleries ...... From fine dining establishments to typical tapas bars, going through the usual own beach bars of Malaga Coast. Not to mention the pubs, discos and tablaos known internationally. Transfer Marbella. Limo Marbella. Car rental with driver Marbella. Marbella cars for weddings. Shuttle Marbella. 4.6 of 5 based on 1197 votes.